Qualities; abyss, mystery, sanctuary, serenity, “looks within” place, enclosing darkness, journey into self, stillness, dreamtime, dreamfield matrix, dream exploration. Akbal again? What? At the beginning of the week it signifies the continuation of the journey into darkness. It is remarkable how the Mayans were timekeepers. They are still able to show us how to follow the path of the sun with our own inner reflection. During November nighttime enfolds around us earlier and earlier our dreamtime is extended. Last night I dreamed about dowsing tools (Y-Rod). Today I took an order for 50 pieces. The dreamtime holds much information for us. Learn how to become a conscious dreamer. It will help you create a new reality for yourself. Your thoughts and intentions will become manifest faster than you dreamed possible. 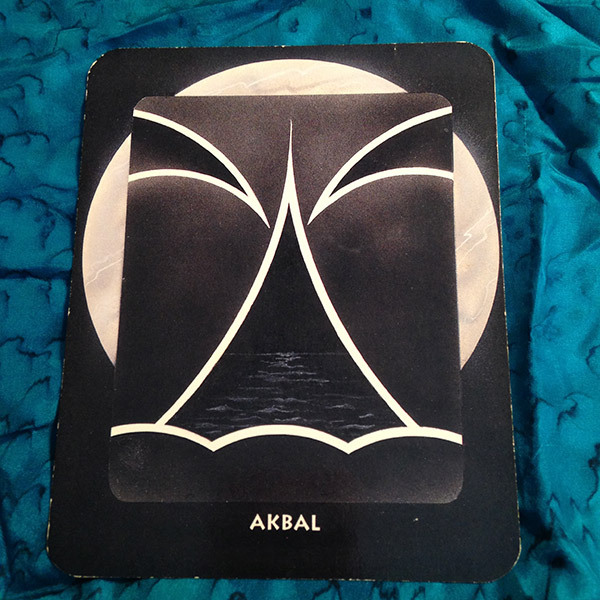 Allow Akbal’s dreamfield matrix to advance your connected to the abyss of creation and all that emerges from it.